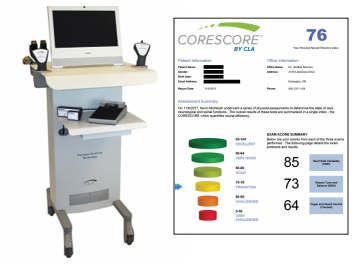 CoreScore is a computer scan that combines the data from muscle and nerve scans into one easy-tounderstand report and creates a numerical score that can be used in care planning. CoreScore evaluates the stress in your body by analyzing spinal muscle balance, nerve flow to organs, pulse and skin resistance. Core Score helps us build powerful and effective care plans.